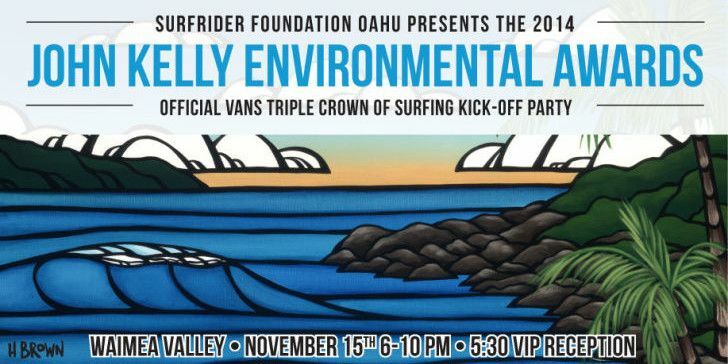 The Surfrider Foundation Oahu Chapter proudly presents the official Vans Triple Crown of Surfing Kick-off party! The Surfrider Foundation Oahu Chapter is proud to announce the 12th Annual John Kelly Environmental Achievement Awards on Saturday, November 15th, 2014 on the beautiful grounds of Waimea Valley. This year, the Oʻahu Chapter honors the mission and legacy of the Surfrider Foundation worldwide in its commitment to Preserving Sacred Places. Surfrider Oahu’s John Kelly Environmental Achievement Awards recognize those who have made the greatest contributions towards protecting or enhancing our coastal community and environment. John Kelly, for whom the award is named, was the original recipient of the Lifetime Achievement category. For decades, Kelly led many environmental crusades on O‘ahu. The John Kelly Perpetual Trophy is a small koa surfboard, beautifully shaped as a board from the early days of Waikiki, when the water and the sand were clean, there were no groins or jetties, and there was plenty of beach access. 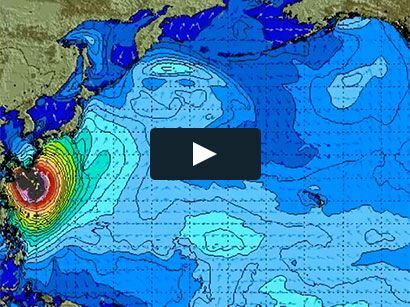 Sadly, John Kelly passed away in 2007, but through this annual event he will be remembered and honored by the Surfrider Foundation. Held each year in honor of John Kelly, the Awards Ceremony honors those individuals and organizations that have followed in his footsteps and continued his legacy of environmental leadership.